The holidays of Black Friday, Black Monday, Black Thursday and Black Tuesday(see link here) are all related to the stock market. 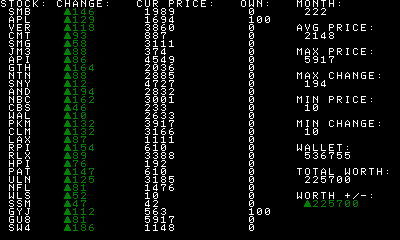 My simulation game is reflective of all of these holidays. 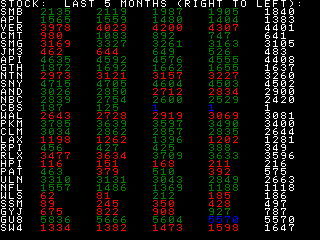 The stock update in reason in 1-month intervals. You can now buy and sell stocks, and stats update every month. 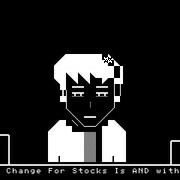 There are now 29 stocks available to buy or sell. Currently, I am working on making a dynamic graph that makes its own scale based off of the last 5 months of data. 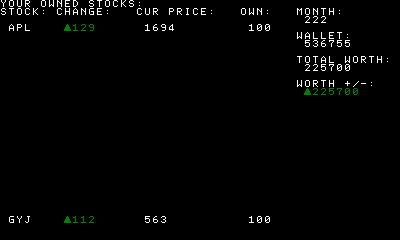 Stock market trading is active. 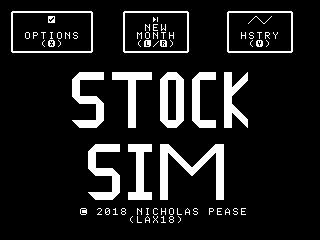 You can buy and sell 29 different stocks WITHOUT BUGS AFFECTING IT. You can also see a color-coded chart with the last 5 months of changes in all of the stocks. Stats such as total worth and change in worth have been added to the home screen along with stats of average price and max/min change in price. - Dynamic Graph with last 5 months of data. - Saving and loading save. If you can get screenshots, then try, If you don't, you don't have to, but you should try to get them to include with your submission. If not, your description might have to be more descriptive and flattering . Sounds cool so far! It's not that I cant, but it is difficult... I might be able to do it tonight. Final Video I Hope To Post Tommorrow!!! I will be submitting after all!!! Just in case people following this thread did not know, I have begun porting this to CE. This is the progress thread! Totally forgot to update this thread and the recent slew of updates by other members prompted me to do so. 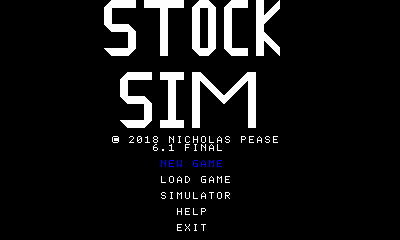 I have released version 1.0 here for the 84+CE. This allows my game to (finally) be played oncalc. 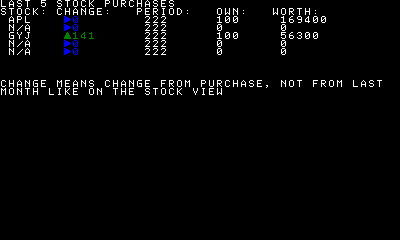 Second, a new SmileBASIC update was released that allows me to take HD(ish) screenshots. Below are the screenshots of the 3DS program. I apologize for the edits. I had to upload these photos from my 3DS using the built-in browser. The browser cannot keep multiple pages loaded at the same time. So whenever I would go to upload a new photo, the content written on this post would be deleted. So I had to keep editing this post. Sorry. © Copyright 2000-2019 Cemetech & Christopher Mitchell :: Page Execution Time: 0.664819 seconds.